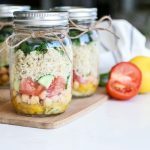 Ready to make meal planning a breeze? 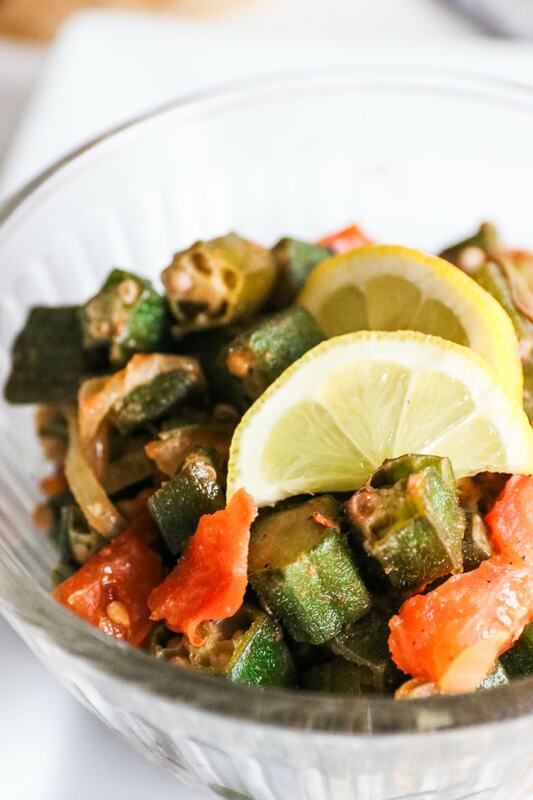 Try this simple and mouthwatering 20-minute okra recipe (Bhindi). 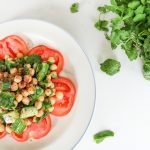 An all-time favourite Indian and Pakistani dish, this recipe is bursting with nutrition and flavor. 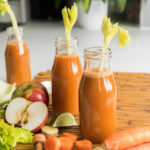 If you’re tired of eating the same ‘ol veggies, this has your name written all over it! 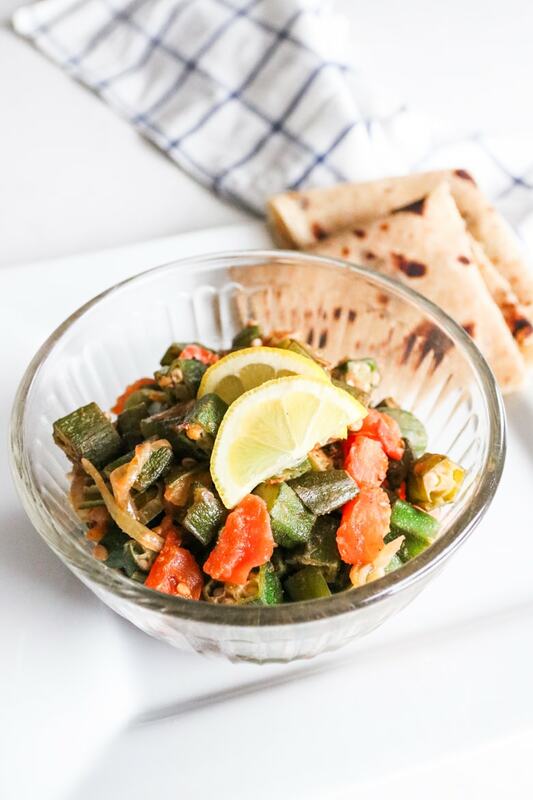 This lip-smacking Indian/Pakistani okra dish is the perfect accompaniment to all kinds of meals. In fact, it’s a meal in itself, that pairs perfectly with roti, paratha, rice or daal. 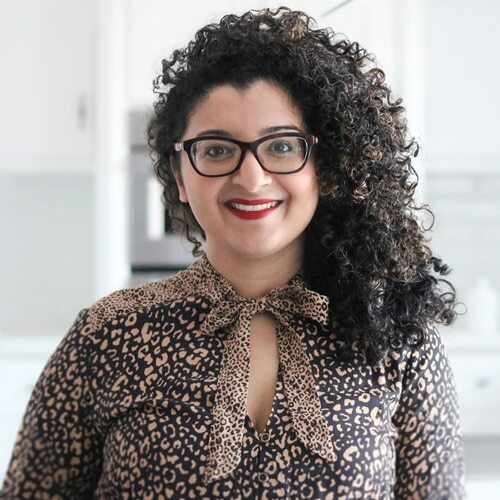 My new food crush? Quinoa – it’s a match made in heaven with a dollop of my herb and avocado chutney. 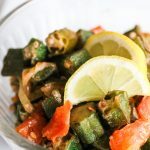 This okra recipe is cooked in a simple medley of fresh tomato and onion with paprika, cumin, lemon and cilantro – this one will make your taste buds dance. The hot kick from the green chilli is, of course, optional. Okra also known as ‘ladies fingers’ is an edible plant that’s part of the mallow family. It can be eaten raw, be pickled or cooked and is often added to stews, curries, and salads. Okra is also well known for having goo or slime inside it which is referred to as mucilage. It’s not uncommon in plants and is also found in aleo vera, cacti and kelp. Although it’s not uncommon in plants it’s not something you see in most everyday vegetables which is why I think, people are put off cooking with it. How to Reduce the Slime When Cooking Okra? I saute the okra in oil over a high heat which really helps reduce the slime. If you pickle the okra in vinegar this will also reduce the slime and another option is to soak the okra in water for 5-10 minutes before using although I don’t recommend doing this if you are cooking them in hot oil. Here are my top tips to make the best bhindi dish. I use frozen okra straight out of the freezer. Do not thaw. Saute the okra in oil on high heat. This will help to soak the excess water and prevent slime. Keep a close eye and stir often to prevent burning. This one needs serious TLC. You can add potatoes to this dish which is how my grandma used to make it. It’s more filling. Serve with chapati, rice, dal, quinoa, or potatoes with a side salad to create a hearty and balanced meal. What are your favourite go-to side dishes? 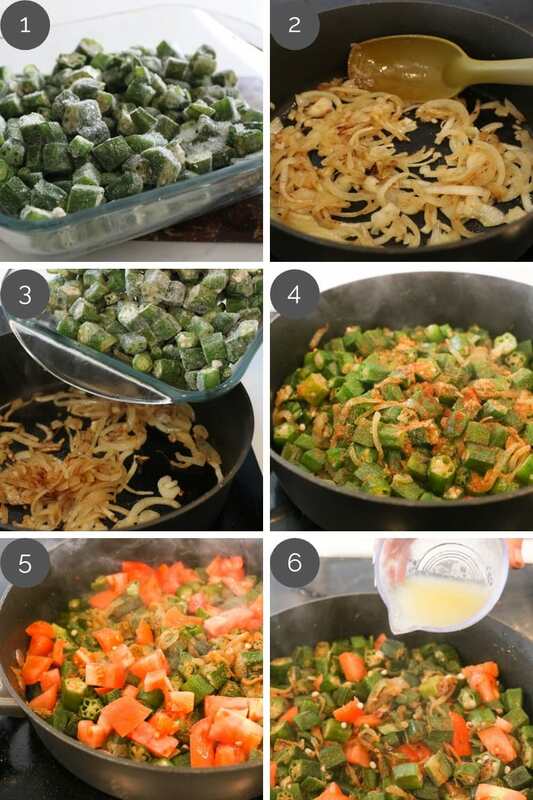 If you try this okra recipe, would love to hear from you! Leave a comment, rate it, or share a photo and hashtag with #desiliciousrd on Instagram, Facebook and twitter! Can’t wait to see your photos. 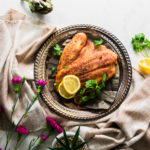 Ready to make meal planning a breeze? 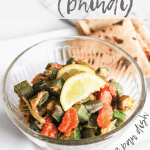 Try this simple and mouthwatering 20-minute okra recipe (Bhindi). 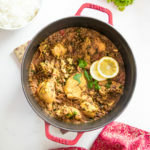 An all-time favourite Indian and Pakistani dish, this recipe is bursting with nutrition and flavor. 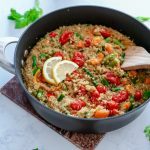 If you're tired of eating the same 'ol veggies, this has your name written all over it! In medium pan, heat oil and fry onions until lightly golden. Saute okra on high heat for 5 to 7 mins. Stir often to prevent burning. Reduce heat and add dry spices, chilli and tomato. Stir well to coat okra. Once cooked, pour lemon juice over okra and garnish with cilantro. Enjoy hot. 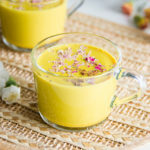 It is looking attractive and also new one way to make bindi testy. Thank you to share with us.